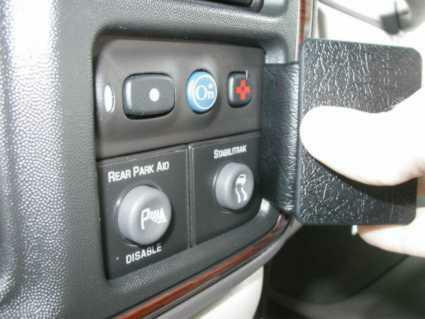 NOTE: This ProClip can be attached to the dashboard as shown in either position picture # 3 and/or #4. You can also have two ProClips attached, one above the other. For both positions the same directions apply. 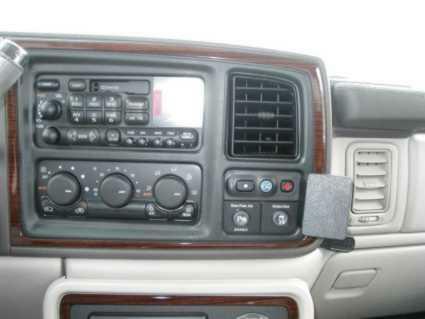 In the pictures the dashboard may look slightly different from yours i.e. 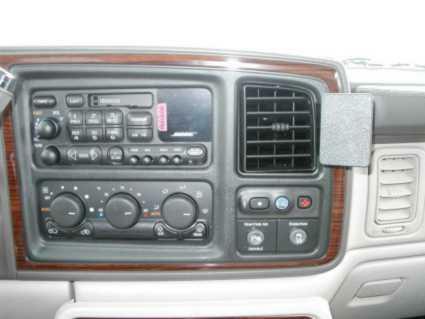 different stereo, buttons for the On Star System, Panel frame etc. 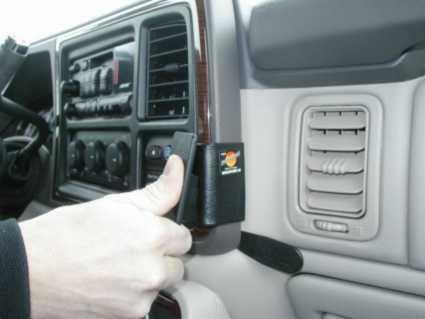 but this has been taken into consideration and the ProClip will fit your dashboard. 1. Press the angled edge on the left side of the ProClip into the gap between the dashboard and the surrounding panel frame.